Karen Ehman is a New York Times bestselling author, a Proverbs 31 Ministries speaker, and a writer for Encouragement for Today, an online devotional that reaches over four million women daily. She has written eleven books and Bible studies including KEEP IT SHUT: What to Say, How to Say It; When to Say Nothing at All, and Listen, Love, Repeat: Other-Centered Living in a Self-Centered World. Karen has been featured on numerous media outlets including FoxNews.com, Focus on the Family, Redbook.com, Crosswalk.com, and Home Life Magazine. Her passion is to help women to live their priorities as they reflect the gospel to a watching world. Married to her college sweetheart, Todd, and the mother of three, she enjoys herb gardening, collecting vintage kitchenware, cheering for the Detroit Tigers, and feeding the many teens and young adults who gather around her kitchen island for a taste of Mama Karen's cooking. You can connect with Karen at www.karenehman.com where she helps women to live their priorities and love their lives. Our culture is obsessed with self. In our schedules, our relationships, and especially online. (Can you say “selfie”?) But in the midst of this near-narcissism, people are less content than in decades past. Why? Because we have forgotten the joy that comes from putting others first. Becoming such a person requires us to live alert, listening for “heart drops”-—hints from those in our lives who might need a helping hand or a generous dose of encouragement. Living alert lifts our own spirits, showing us that blessing others blesses us even more. Presents scriptural examples of those who lived alert, including Jesus—-the one who noticed those who least expected to be seen. Explains the role of good works in the life of a follower of Christ. They aren’t our ticket to heaven but they are our marching orders here on earth. Gives creative ideas for showing love to your friends and family. Yes, even the ones who get on your very last nerve! Provides inspiration for blessing the “necessary people” in your life–those often-overlooked souls who help you get life done every day. Suggests practical ways to reach out to the lonely, the marginalized, the outcast, and the odd duck. Additionally, it gives ways to help the grieving, showing what you can do when you just don’t know what to say. Teaches you how to hug a porcupine and squeeze a skunk–-genuinely loving the hard-to-love. This message can be done as one single keynote or a retreat/conference with 2-4 sessions. Got words? Oh yeah, you do! The average women speaks over 20,000 a day—-not to mention the ones she types online. Karen Ehman-—a woman whose words have often landed her in a heap of trouble—-shares from experience the how’s (and how-not-to’s) of dealing with the tongue in her new message based on her book Keep It Shut. Using biblical examples, as well as Karen’s own personal (and sometimes painful!) stories, Keep It Shut will equip you to know what to say, how best to say it, and when you’d better just keep your lips zipped! The difference between gossip and properly processing with a trusted friend. A helpful grid for using our digital tongues as we talk online or on social media. How to pause before you pounce, attacking the problem but not the person. How to avoid saying something permanently painful just because you are temporarily ticked off. What the Bible teaches about making our speech laced with grace, as sweet as honey, and yet seasoned with salt. Take control of your schedule yet welcome interruptions from God. Draw the line between mothering and micromanaging. Influence your husband instead of manipulating him. Learn to control your emotions when you can’t control the circumstances. Stop pursuing the appearance of perfection and start pursuing the person of God. Accept your unique personality and stop comparing yourself to others. Experience contentment even during trying circumstances. Control your emotions when you can’t control the situation. Replace negative self-talk with the assurance of God’s approval. Shift your perspective from “Why me?” to “Whatever You want, God”. Embrace and enjoy the life you now live and stop being distracted by envy. Meander back down memory lane to reconnect with that “first love” sentiment. Recognize the patterns, choices and habits that seek to steal or replace our zeal for God. Employ practical and tangible tools for keeping our daily connection with God growing despite our hectic schedule. Craft an effective plan for what we should “fast from” and “feast on” in order to live a vibrant, fulfilling and effective life for Christ. Set up a simple celebrations binder designed to enable you be on top of the holidays, rather than the other way around! Acquire fast and frugal decorating, cooking and gift-giving ideas. Be challenged with ways to teach your children and grandchildren to focus on others rather than suffer from the “it’s all about me!” syndrome. Obtain creative, doable ideas for concentrating on Christ and reaching out to others. This holiday inspirational talk is perfect for your ladies’ Christmas tea or women’s holiday outreach. Karen will help your attendees to focus on the true essence of the season as they take inventory of their hearts, motives and activities as they relate to the celebration of Christ’s birth. This lighthearted yet introspective message will enable them to slow down, focus and savor the season as they take a break from their hectic, activity-laden schedule. Please inquire about information on Karen’s messages geared toward and suitable for these other important events. Occasionally, millennial aged daughter Kenna is also available to speak with Karen for mother/daughter, teen or college events. Evaluate and compare their verbalized priorities and actual time choices to see if they match. Discover time-management tools that will enable them to generate white space in their calendar. Determine when (and when not) to multi-task and how to practice smart sequencing. Harmoniously and seamlessly connect public ministry with personal life. Discern future direction as they cultivate an intimate, daily relationship with God. Karen has over two decades of experience as a national speaker and is the director of the Proverbs 31 She Speaks Conference speaker track. Additionally, she has published ten books, including a New York Times bestseller, and has expertise in crafting book proposals, training writers, and teaching about book marketing.  If you would like to discuss what speaking and/or writing messages she could present to your group, mention it when reaching out to Proverbs 31 Ministries. For a full list of Karen’s topics, please click here to visit her blog.